Add a little oil to a hot frying pan. Stir fry the chicken in batches for approx. 4 mins. Transfer to a plate. Mix the salt with all the other ingredients up to and including the chilli powder, use the mixture to season the chicken. Place one tortilla in a hot frying pan without any oil, arrange 1/4 of the avocado on top. Divide the chicken, tomatoes and cheese into four portions. Spread one portion of each over the avocado. Cover with a second tortilla and press down gently, turn. Reduce the heat, cook for a further 2 mins. until the cheese melts, keep warm. Repeat this step three more times. 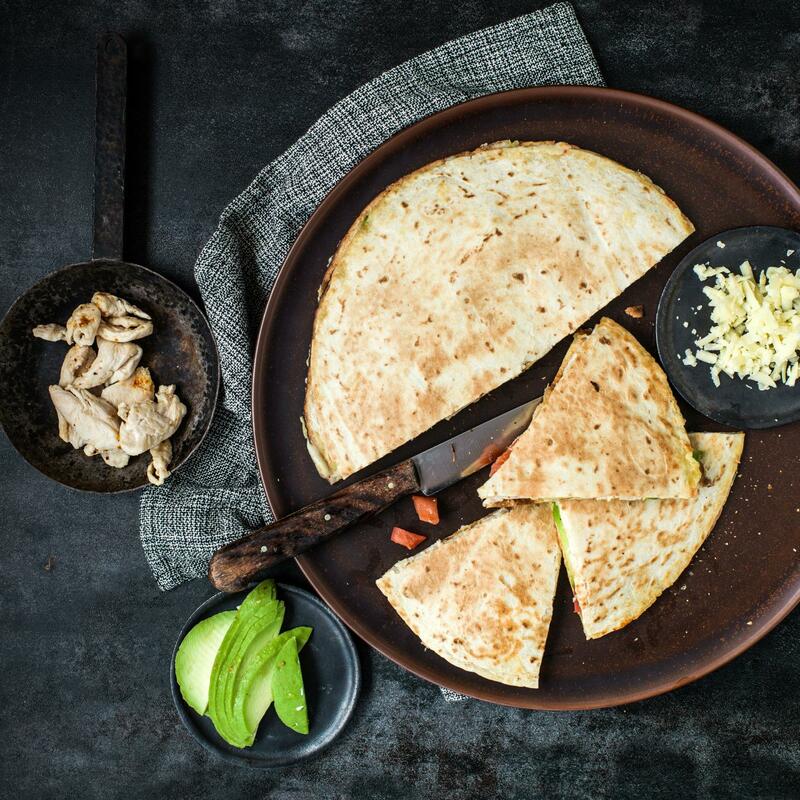 Cut the quesadillas into four.